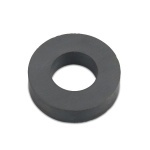 Ferrite magnets are the best for simple applications. 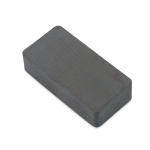 Compared to the neodymium magnets, ferrite magnets are cheaper but also weaker. They are corrosion resistant and therefore suitable for outdoor use and they can be heated up to 250 degrees. In our assortment you will find a variety of different sizes divided into discs, rings and blocmagnets. 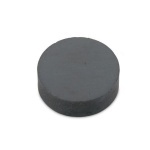 Our ferrite magnets are very hard and brittle like the normal ceramic materials. Our customers tried many different uses of our ferrite magnets: f.e. to build magnets for you fridge or as a component for loudspeaker!